Help your daughter look fashionable by dressing her in a white t-shirt and a white skirt. This getup is complemented perfectly with silver sandals. Suggest that your girl wear light blue print dress for an easy to wear, everyday look. 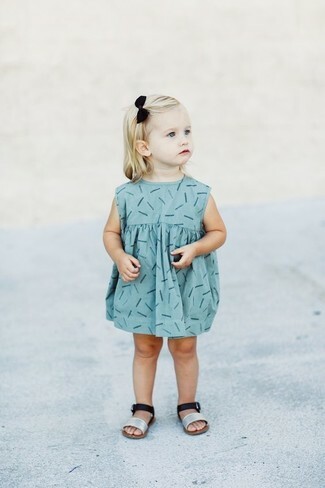 Round off this outfit with Jumping Jacks toddler girls tess sandal. 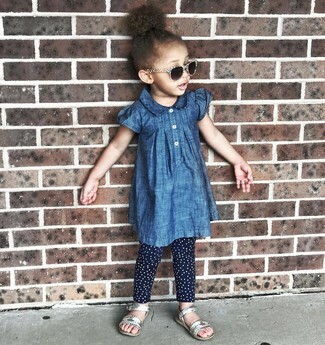 Your darling will look extra adorable in blue denim dress and navy polka dot leggings. Round off this ensemble with Jumping Jacks toddler girls tess sandal. Suggest that your darling dress in silver dress for an elegant, fashionable look. 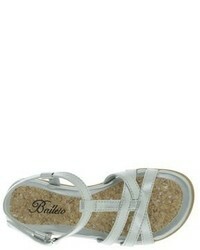 Jumping Jacks toddler girls tess sandal are a good choice to round off this outfit. Suggest that your child wear hot pink dress for an elegant, fashionable look. This getup is complemented perfectly with silver sandals.